In the tourist village of Crikvenica known for its beautiful sandy beach, in a quiet location, this beautiful holiday home is located. In the tourist village of Crikvenica known for its beautiful sandy beach, in a quiet location, this beautiful holiday home is located. It has spacious and functional rooms and is ideal for a large family. It has an exclusive private area and three independent residential units. 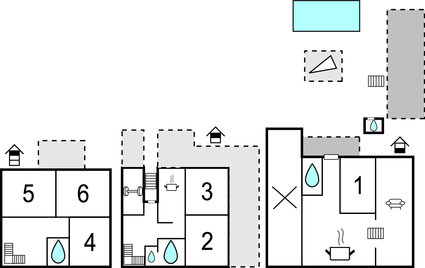 The ground floor has a living room with kitchen and dining area. The ground floor and the upper living area are connected by external stairs. The well-maintained scenic and fenced garden has a pool, a shallow children’s pool, a covered terrace, an additional outdoor toilet and a barbecue. You can spend a joyous and memorable holiday in this well-equipped house. This beautiful villa is made from brick or stone and was originally built in 1993 and refurbished in 2013. The agent has rated it as a four star property so it is a well-equipped villa with above average furnishings. It is also great value for money. 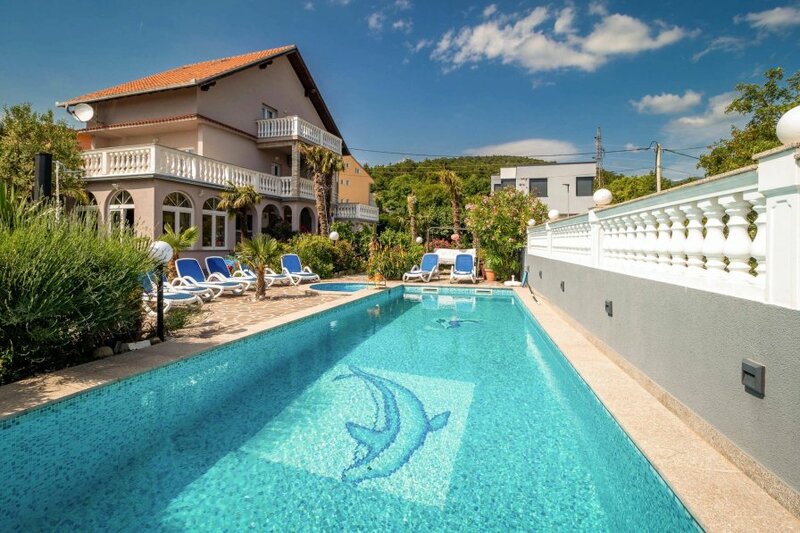 This villa has a swimming pool and sea view; it is also only 1km from Crikvenica. It is set in a very convenient location, just 900 metres away from a stone and pebble beach and 1km from a sandy beach. There's also a restaurant only 500 metres away. The villa has free wireless internet. You can also park on-site at no extra charge. The villa is well equipped: it has a refrigerator, microwave, washing machine, dishwasher and extra dishwasher. It also has a barbecue and some garden furniture outside.